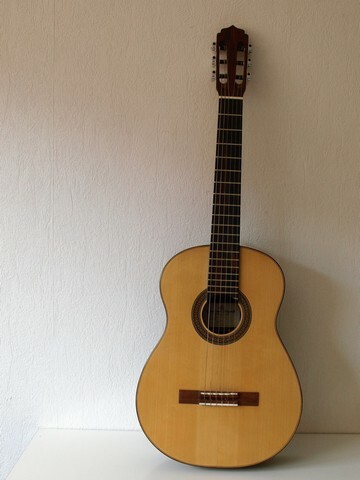 Custom instrument with 64,5 cm scale. 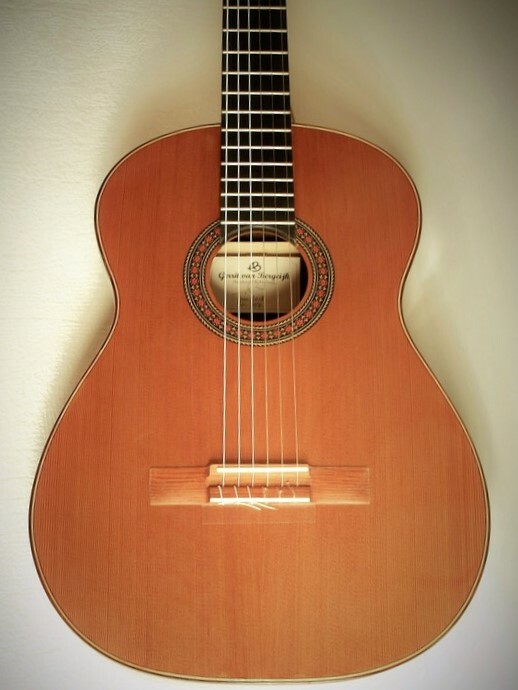 For the classical guitar I prefer the traditional bracing pattern: the fan bracing. 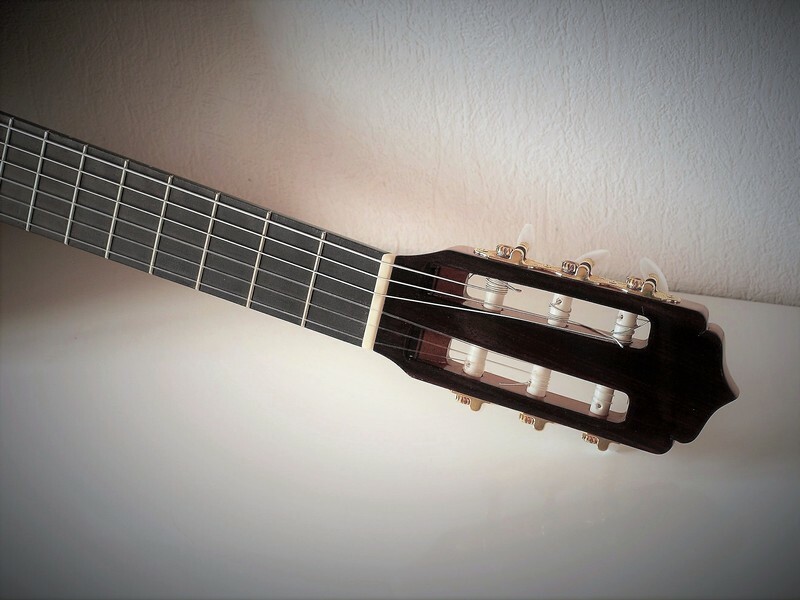 This concept gives you great dynamics in combination with a great volume. 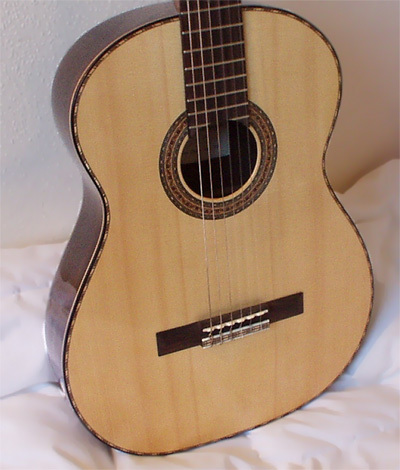 I often use the Ramirez bracing variation in my cedar model classical guitar. Ramirez used a 66,5 cm scale. 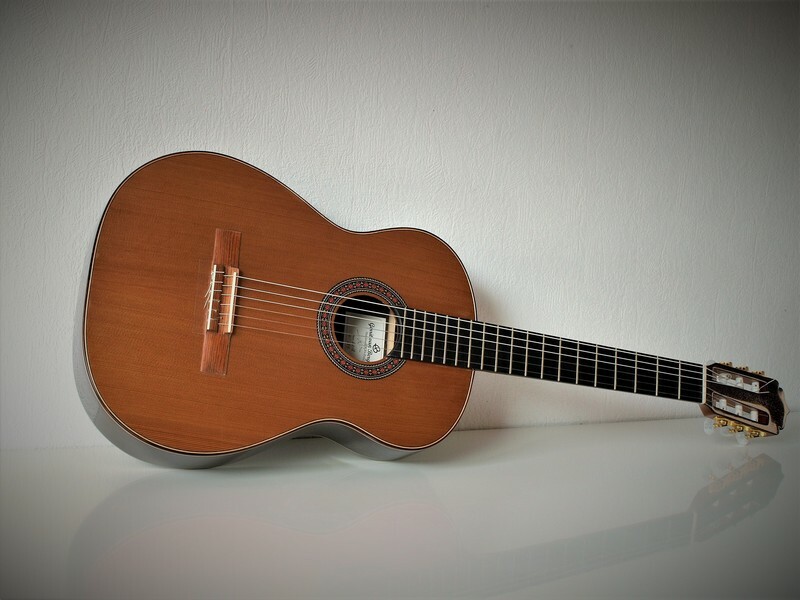 The use of carbon high tension strings makes it possible to use the 65 cm scale length and still have a great volume. 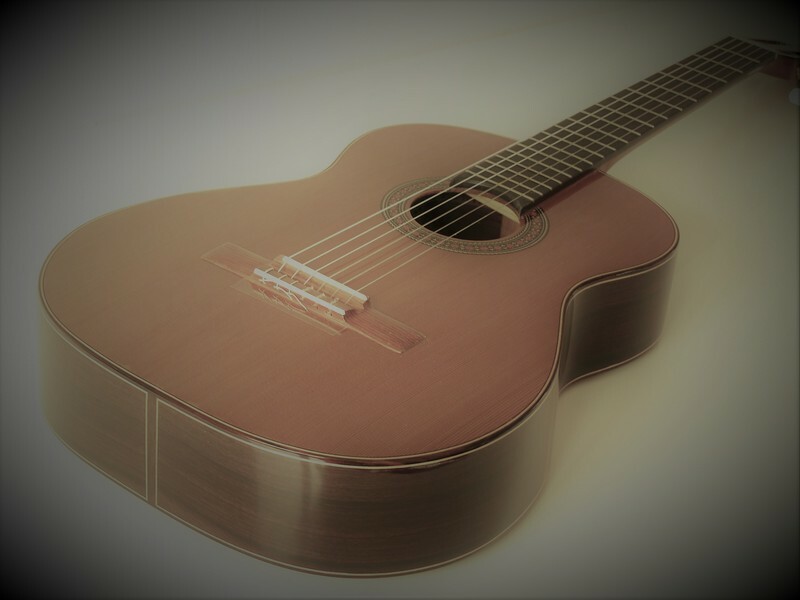 This does wonders for your playing style. I love to make cedar tops with the a- symmetric Ramirez fan bracing. I preferably use very old European spruce for the top. 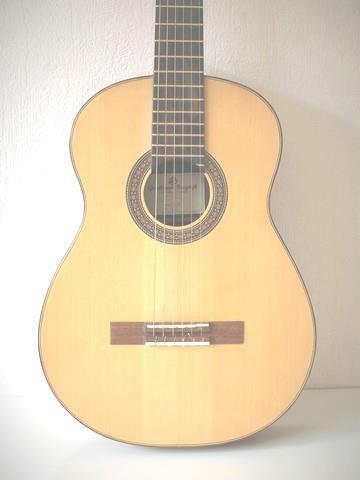 Old stable European spruce is a great choice for your classical guitar. 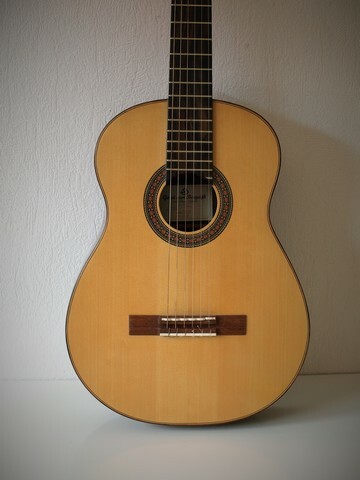 For the spruce top I also prefer fan bracing. 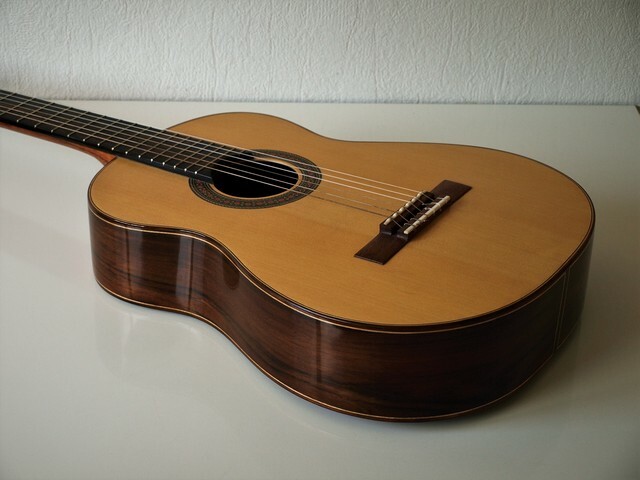 I've made great classical guitars with fan bracing and while I reinforce three central braces with carbon. Talk about a traditional approach in combination with modern techniques! This greatly enhances the traditional concept! 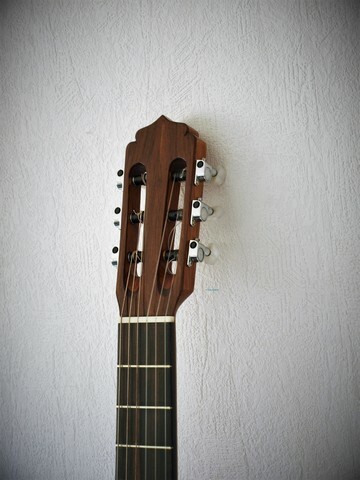 Some builders use a rosewood neck or even an ebony neck to give your guitar more sustain. 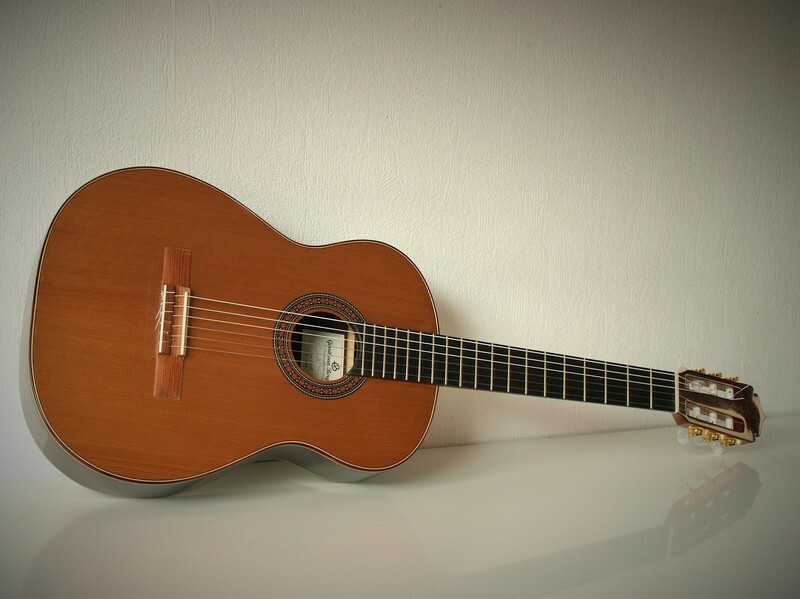 I think that is a good option, but your guitar will be more heavy and out of balance. I prefer a very stiff neck reinforcement with carbon. 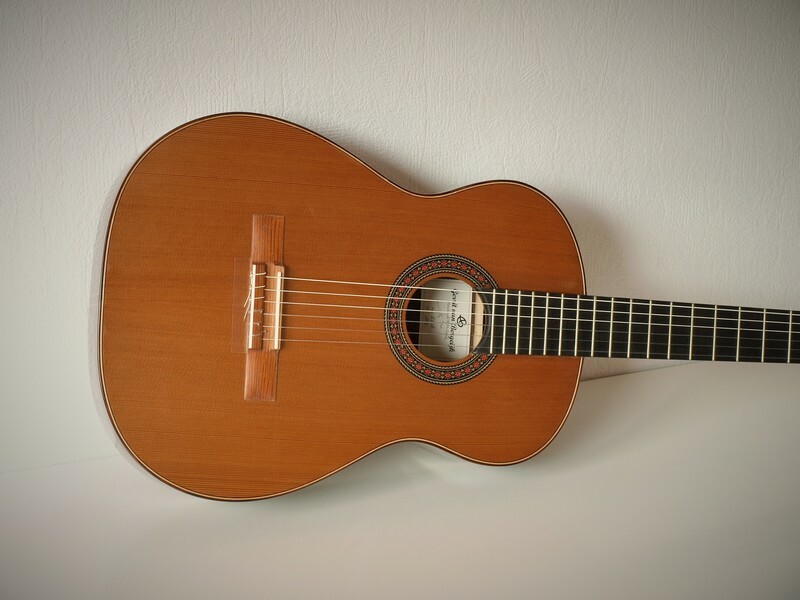 I use a sandwich construction under the fingerboard. You then have the best of both worlds! 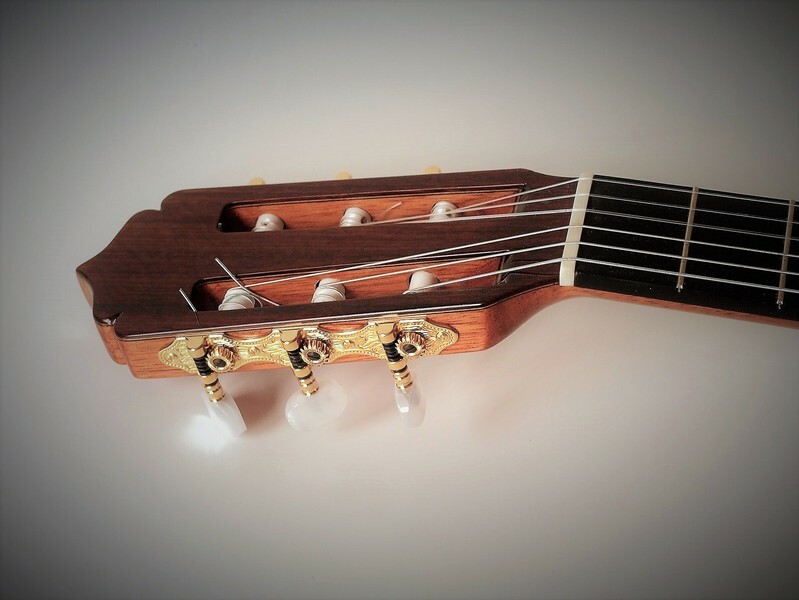 Some players prefer a flat back of the neck, other prefer a round neck shape. Both options are possible. 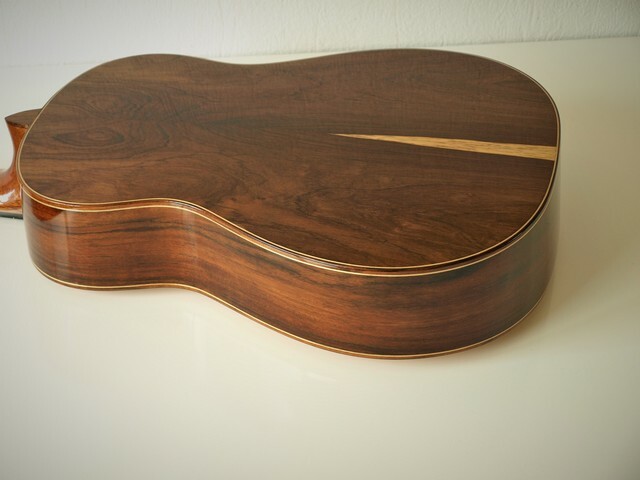 I prefer Indian Rosewood for the back and sides. 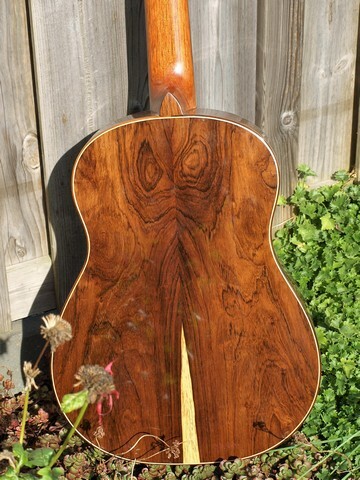 Indian rosewood is over 20 year old. 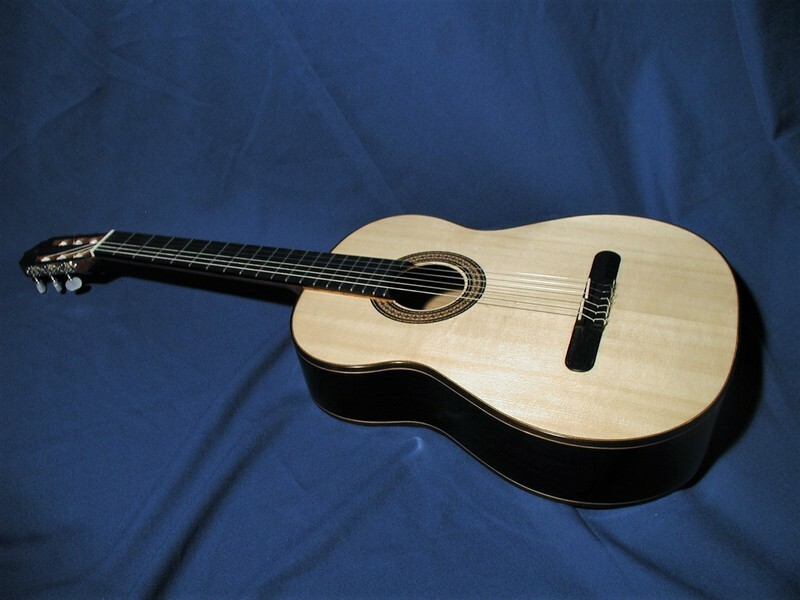 I make the back with a stiff 4 brace construction and also the sides are very stiff. These factors add to a awesome projection. 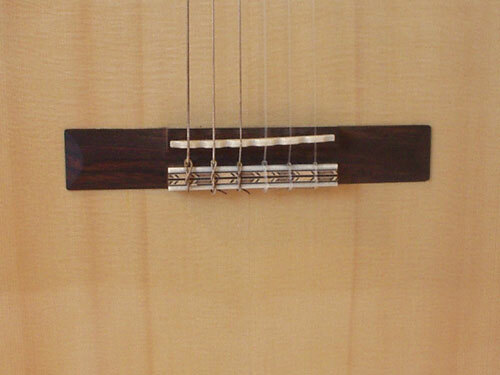 I don't use a slot in the bridge. 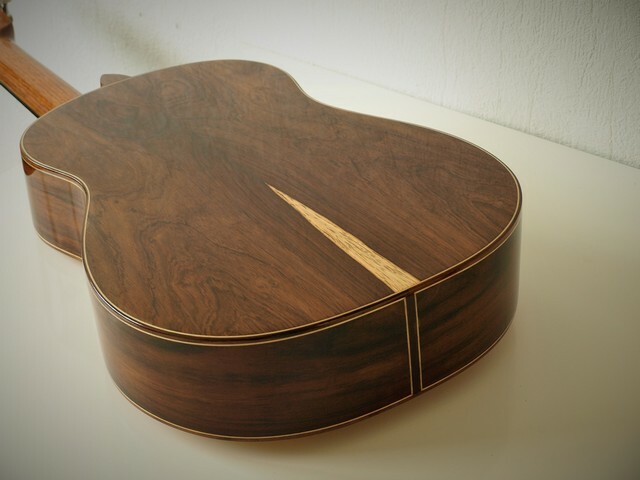 The saddle will be a few mm high and 3 mm wide. 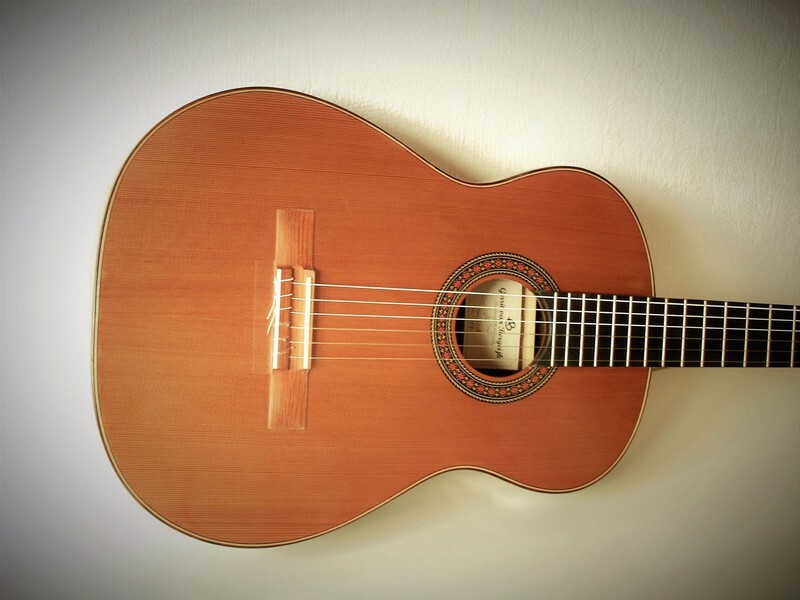 It is possible to easily relocate the saddle to find perfect intonation: just like on a violin or a gipsy guitar. 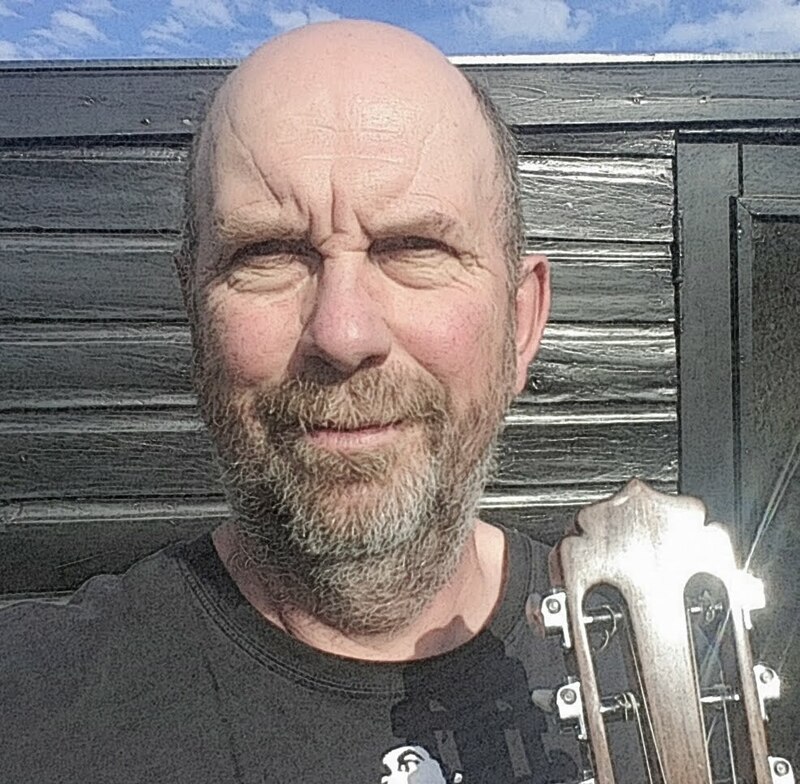 According to special wishes it is possible to build a guitar with two saddles or even six! .